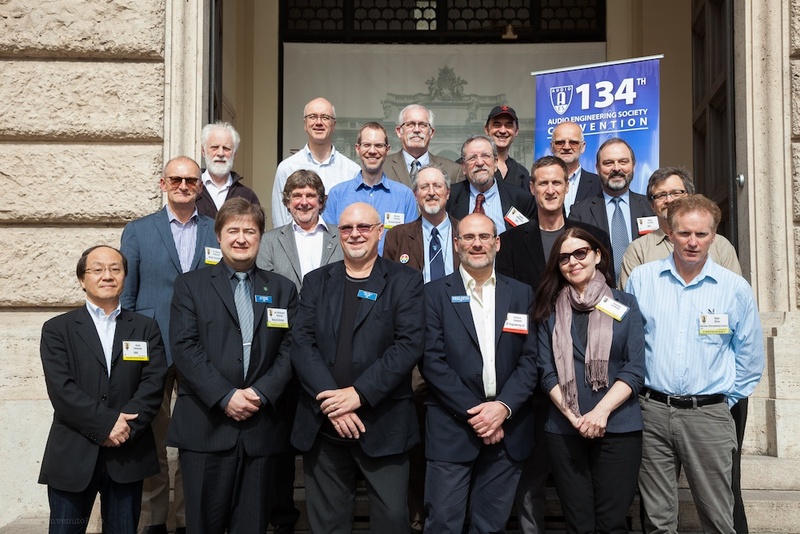 ROME: "Our 134th Convention exceeded expectations in every way,” reports AES executive director Bob Moses. “Our 4 day program of over 150 workshops, tutorials and round table discussions on digital cinema, loudness, spatial audio and other timely topics, packed our presentation rooms. In addition to a solid pro industry turnout, we attracted many enthusiastic students whose quest for information and mentors was palpable. Our sponsors were uniformly pleased with the new customers in attendance throughout the Convention. I feel confident that we are on a good path in Europe and look forward to expanding this new AES model in future years," he adds. 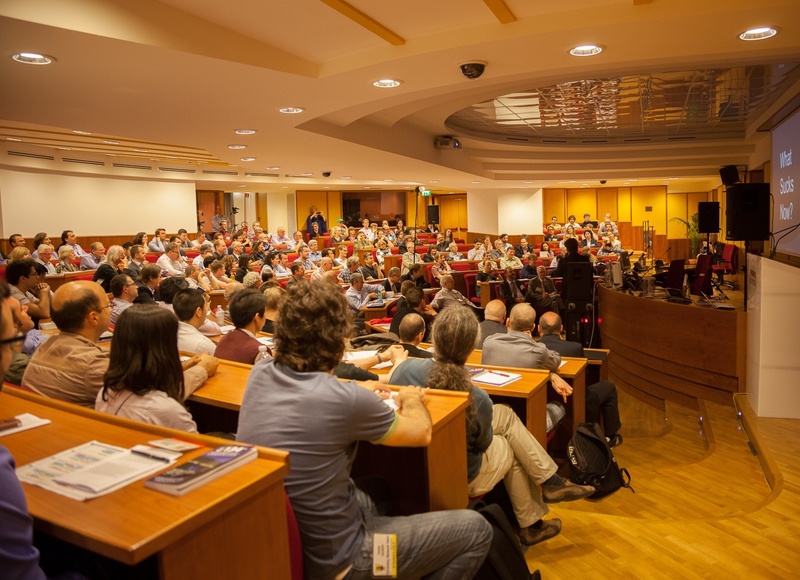 The 134th AES Convention was held May 4–7, 2013 at Rome’s Fontana di Trevi Conference Centre. Under the guidance of Convention Chair, Umberto Zangheri, the Convention program presented attendees with the opportunity to discuss the issues that impact the vitality of the pro audio industry. “This Convention provided a unique environment for deliberating hot issues, and incubating future innovation and growth in the pro audio industry,” Moses states. “Many events were educational in nature, bringing professionals up to speed on important topics. But many others crystallized critical technical milestones in rapidly evolving fields such as Digital Cinema. One of our missions is to take all this amazing mental power in our industry and turn it into new standards and best practices. The work in the Digital Cinema community is a prime example of this synergy. They’re not just talking about the future; they’re making it happen in our meeting rooms. It’s very important work!” he adds. Following through on his promise to serve businesses in new ways, Moses says the decision not to have an exhibition floor was deliberate. “I wanted to test a model based on sponsorship,” he said, “in contrast to a traditional exhibition. This event and venue was a good opportunity for such a test. If you look at what our sponsors did — training, product placement, and so on, you can see some very interesting and creative ways for AES to serve them. “I’m very grateful to these companies for supporting us and coming out to play,” Moses adds. “I heard many success stories from them, and I'm looking forward to stepping our sponsor program up another level in 2014." “The AES Rome Convention technical program focus appealed to us as a manufacturer,” said CharterOak President Michael Deming. “The format successfully allowed us to present our products in a focused way in two technical training sessions ‘Intelligent Compression In the Analog Domain’ and ‘Wide Bandwidth Equalization in the Analog Domain.’ Our presentation room was filled with industry pioneers, working professionals and wide-eyed students, creating an environment for training and technical discussions, that doesn’t happen on a crowded exhibits floor,” Deming adds. AES President, Frank Wells concludes, "In the marketplace of ideas, the 134th Convention proved that the AES remains professional audio’s prime source for the fundamental information, leading edge technology and technique, standards and practices—AES convention attendees have the information available to allow them lead the curve while others follow." 3. 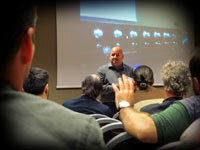 134th AES Convention co-sponsor, CharterOak, President, Michael Deming during a presentation in Rome.